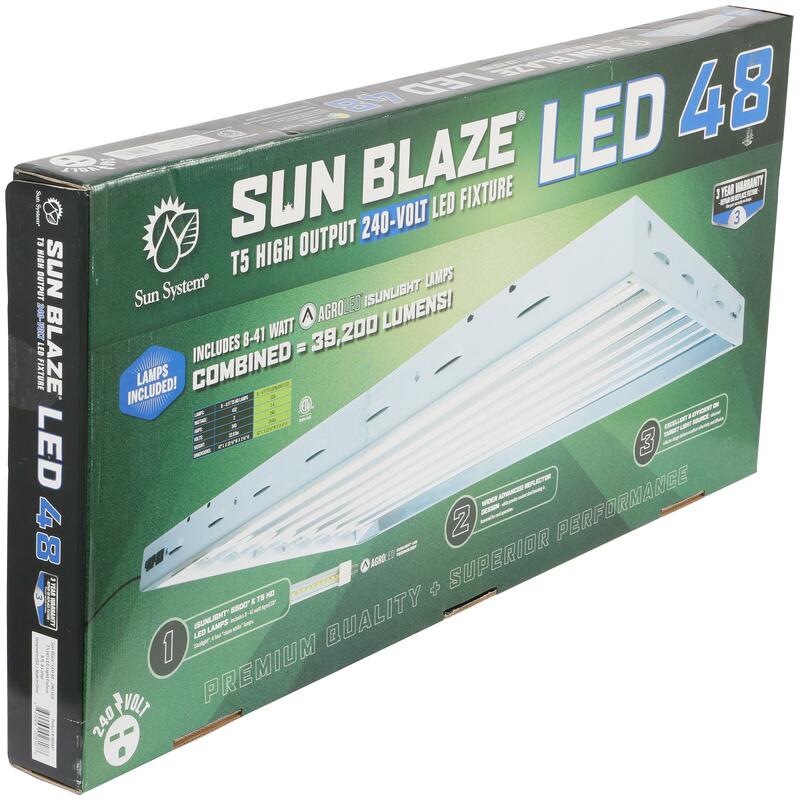 Sun Blaze® T5 LED fixtures are equipped with 41 watt AgroLED® iSunlight® lamps. 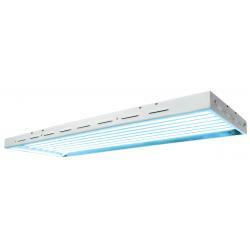 These lamps produce an amazing 4,900 lumens with a 5500° K lamp color that is ideal for propagation and vegetative plant cycles. 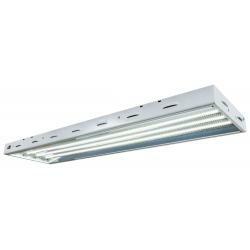 Sun Blaze® LED fixtures feature an advanced reflector design that delivers excellent reflectivity and diffusion. 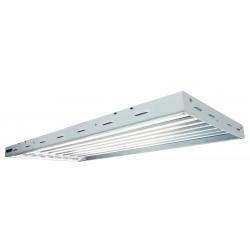 White powder-coated steel housing is louvered for cool operation. 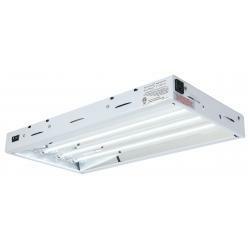 The Smart Volt® electronic 120 to 277 volt ballasts are energy efficient and high output. Hang vertically or horizontally. 12 foot, 240 volt power allows for easy operation. 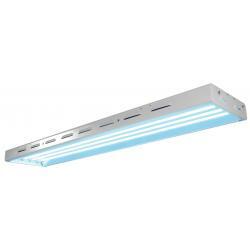 Environmentally friendly, mercury free AgroLED® iSunlight® lamps reduce electricity consumption by up to 25% compared to traditional T5 lamps. 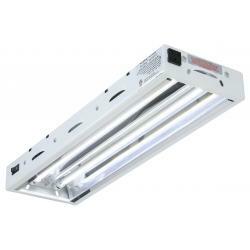 This high quality light source provides excellent, on target light output. Features eco-friendly recyclable packaging.